Marine Register Business Forms 3026 At Print EZ. Marine Register Business Forms Item No. 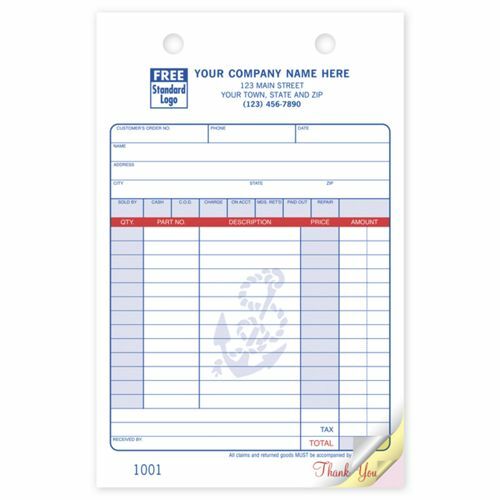 3026 Size: 5 1/2" x 8 1/2"
Lend your marine business forms that professional look that they deserve with our marine register business forms. Details about the job can be noted down quickly without having to bother with drawing up lines or writing headings as you go along. Be it the mode of payment or the item bought, there are slots to list them all out in a uniformly laid out fashion making your work more organized. 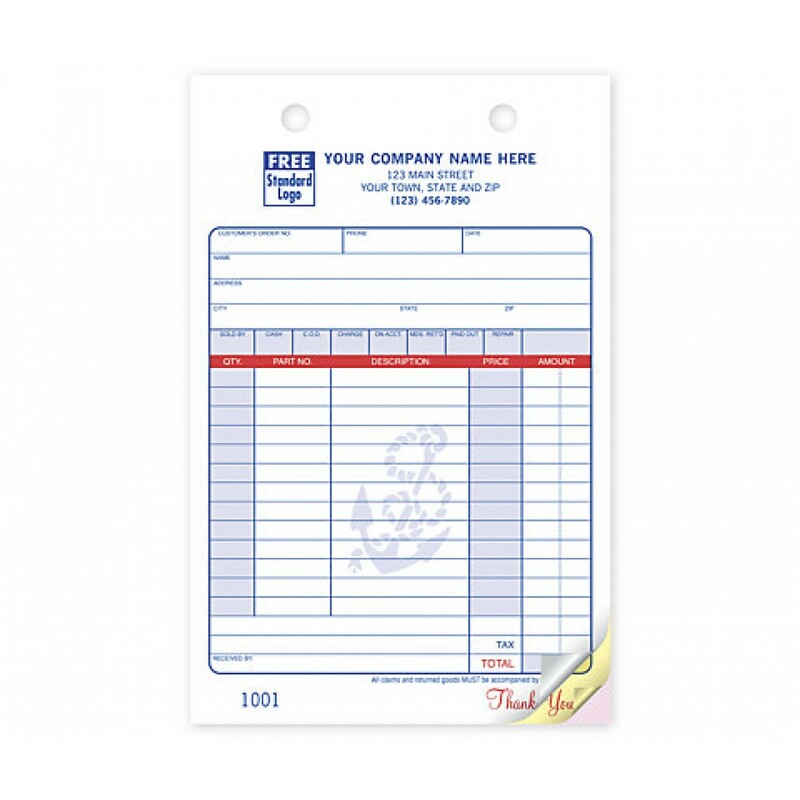 Each form is printed with a blue anchor to set it apart from other regular paperwork. Along with this you can have your company name and logo printed on these forms, so as to leave a stronger memory in your clients mind thus enhancing the chances of repeat sales.